Memories fill immigrant family's kitchen like the aroma from a native stew. 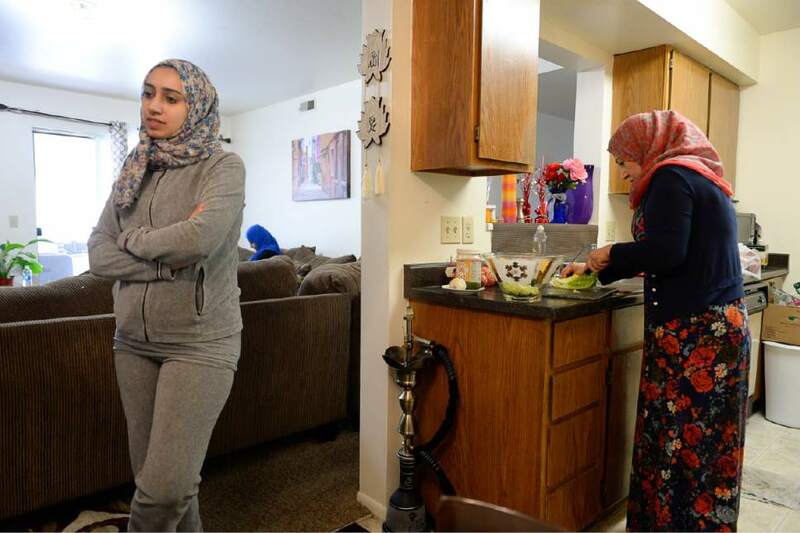 Francisco Kjolseth | The Salt Lake Tribune Baidaa Alshraheb, center, translates for her mother Iman as she discusses traditions of her native Iraq during a meal at their apartment in Salt Lake City recently. 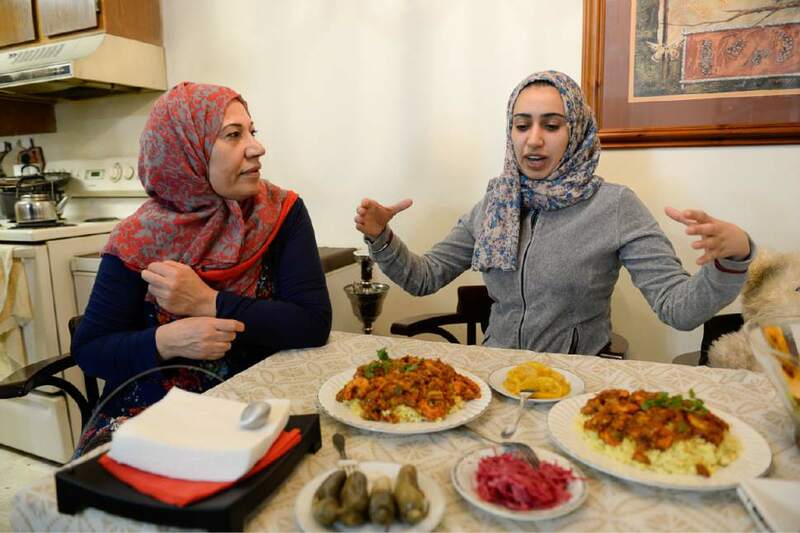 Francisco Kjolseth | The Salt Lake Tribune Iman Alshraheb, left, from Iraq talks about the dish Magbus Rabyan she was about to cook with the help of her friend Wafaa Abdraba during a recent visit to her apartment in Salt Lake City. Alshraheb recalls fond memories of her country and the power of food to bring people together. Francisco Kjolseth | The Salt Lake Tribune Abdul Rahman Alshraheb talks about fishing alongside his wife Iman Alshraheb as the two recall memories of living in their native Iraq following a traditional meal at their apartment in Salt Lake City. Fleeing their country in pursuit of safety and security for their family, they have made a life in the valley and love living in the United States. Francisco Kjolseth | The Salt Lake Tribune Magbus Rabyan, an aromatic dish from Iraq filled with spices, shrimp, vegetables and rice is served during a recent meal amongst hospitable refugees giving a glimpse of their culture and customs recently. 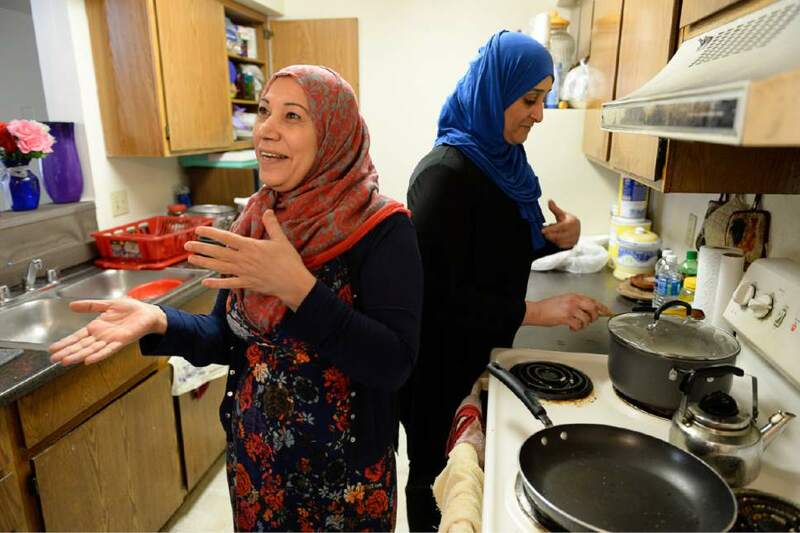 Francisco Kjolseth | The Salt Lake Tribune Baidaa Alshraheb, left, talks about family and culture of her native Iraq as her mother Iman Alshraheb prepares a traditional dish at her apartment in Salt Lake City recently. Francisco Kjolseth | The Salt Lake Tribune THIS IS the first in a series of 4 stories where refugees cook a meal from their home country and talk about their culture. mother - Iman Alshraheb daughter - Baidaa Alshraheb Friend's name is Wafaa Abdraba the dish is Magbus Rabyan Francisco Kjolseth | The Salt Lake Tribune Iman Alshraheb, from Iraq, prepares a traditional dish called Magbus Rabyan that she cooks often at her apartment in Salt Lake City. Through food Alshraheb engages about her country and culture that she left in search of a better life. When refugees immigrate to Utah, they arrive with little in the way of worldly goods. They do, however, bring their language, customs and recipes. 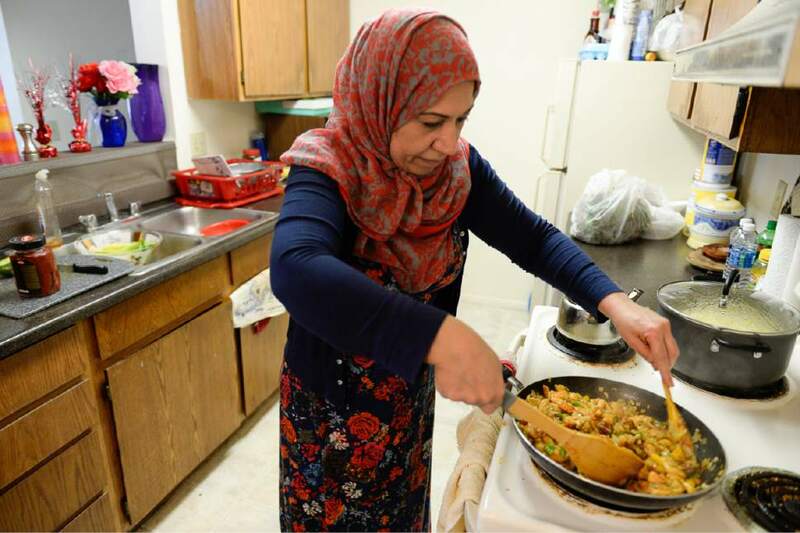 In Refugee Kitchens, an ongoing series, The Salt Lake Tribune invited immigrants to cook dishes from their homelands as a window to their lives, as well as how they prepare food in a new culture. Refugees from Iraq, Central African Republic, Sudan, Burma and Syria discussed their lives as they prepared the food they love from the homes they may never see again. The aromas upon entering Iman Alshraheb&apos;s Salt Lake Valley apartment, a world away from where she grew up, deliver a message  Iraqi food travels well. Middle Eastern dishes have a special way of tickling the taste buds. For members of the Alshraheb family, they also help savor memories of their southern Iraqi home in better times. 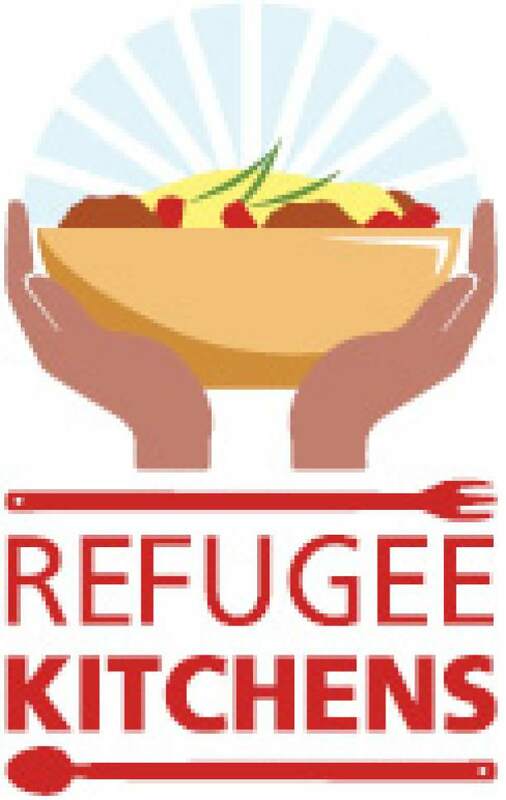 Food is an important cultural lifeline for refugees, who have left almost everything behind to forge new lives in an unfamiliar land. Recently, Iman, 56, stirred a skillet of onions, peppers, mushrooms, shrimp and spices as she talked with her daughter, Baidaa, 28, about their hometown of Basra and their more recent home as refugees in Jordan. The dish, a stew called magbus rabyan in their native Arabic tongue, is a mainstay in their household. Iraqi recipes draw from a long history dating back to ancient Mesopotamia  and they are influenced by Turkish, Persian and Syrian cultures. Iman dreams of cooking again for her mother and brother, who remain in Iraq. "I want to see my family again," she said while preparing saffron rice that is traditionally served with the stew. "I don&apos;t want to lose anyone." Basra sits along the Shatt-Al-Arab waterway, which runs into the Persian Gulf, 65 miles away. Seafood is a staple of the denizens of the ancient city and surrounding area, Baidaa explained. Here in Utah, her father, Abdul Rahman Alshraheb, 62, fishes the Jordan River regularly, keeping the refrigerator stocked with carp all summer. In Iraq, Abdul Rahman owned and operated a car-parts store. The family had a large house surrounded by big, leafy trees in a pleasant neighborhood. On Sundays, the extended family would gather at Baidaa&apos;s grandmother&apos;s house to drink tea in small, glass cups and catch up before a bountiful midafternoon meal. Before the war, life was good in the city of 1.5 million. There was music and dance, and the family had a wide circle of friends that included writers and poets, Abdul Rahman recalled. In addition to Baidaa, Iman and Abdul Rahman have three sons. In 1998, the youngest, Asad, then 18 months old, became extremely ill. At the hospital, Iman saw many babies who seemed to be dying. A doctor told her the best treatment for the youngster was in neighboring Jordan. The family moved to Amman, believing they would return to Basra once Asad was well. That didn&apos;t happen. On March 20, 2003, the United States and its allies invaded the country that had been led for decades by strongman Saddam Hussein. Although southern Iraq now is safer than Baghdad and parts north, violence  mostly from car bombs  remains unpredictable. With their country in shambles and the war raging, the Alshrahebs applied for refugee status with the United Nations High Commissioner for Refugees in late 2004. Then they waited  for a decade. They eventually were sponsored by Catholic Community Services. Iman and her family also get support from Women of the World (womenofworld.org), a Salt Lake City nonprofit that helps refugees adapt. Under the Obama administration, the United States accepted 110,000 refugees annually. President Donald Trump is expected to cut that by half. According to the U.N., there are some 2 million Iraqi refugees worldwide. A similar number have been displaced from their homes but remain in Iraq. 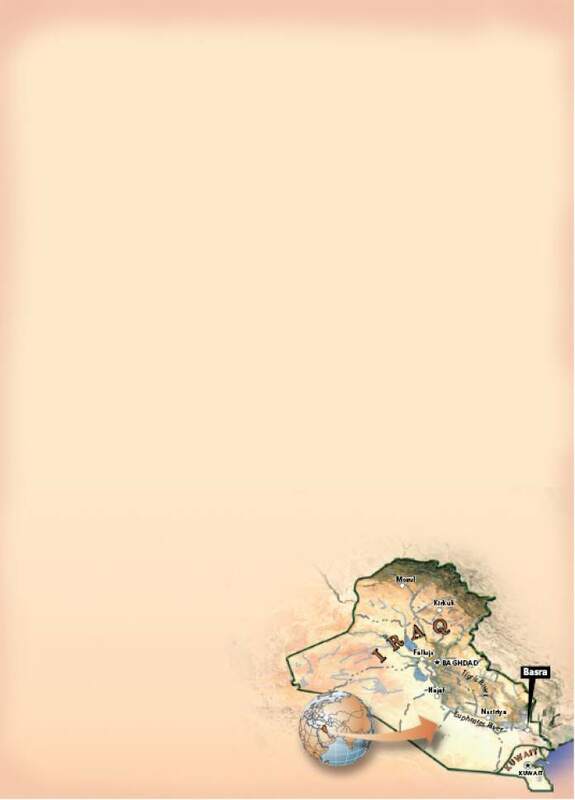 Although estimates vary widely, it&apos;s clear that hundreds of thousands of Iraqis died during the ongoing conflict. Although life in Jordan was safe, work was hard to find for noncitizens. Iman and Baidaa found positions with the U.N. But for five or six years, Abdul Rahman had no job. The family members, along with other refugees, suffered. They bided time, waiting for a new life somewhere. "In Jordan, everybody was only thinking about the future," Baiida remembered. The Alshrahebs have now been in Utah for almost three years. They are adjusting, although language remains a challenge for Abdul Rahman. For her part, Baiida misses Jordan, where she spent 16 of her 26 years. "When I came here, I was unhappy," she said. "I cried every day. I missed everything in Jordan." 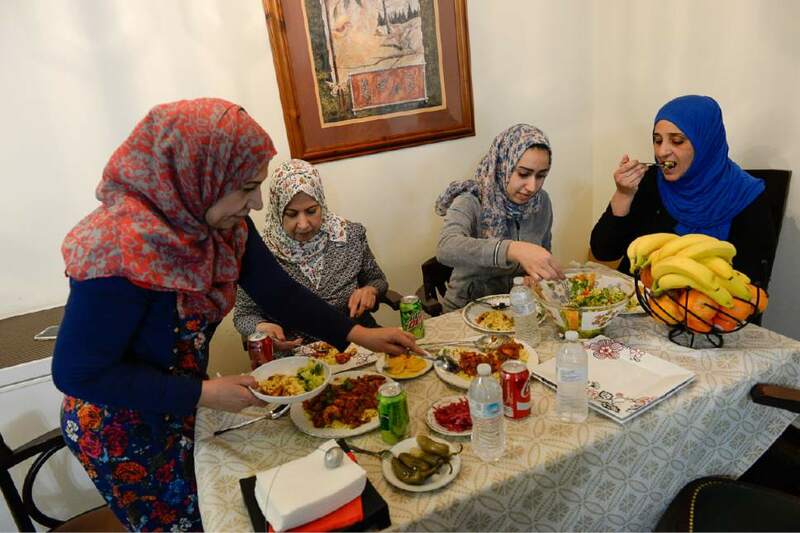 In their new neighborhood, a slice of Millcreek sandwiched between South Salt Lake and Murray near 500 East, there are four other Iraqi families. They help soothe homesickness. Of course, ties to the old country remain. In mid-May, the eldest son, Ibrahim, 26, will return to Jordan to seek his girlfriend&apos;s hand in marriage  something that excites the entire family. Once married, they hope she can join them in Utah. Although Ibrahim holds a degree in software engineering from Jordan, he and Asad, as well as their brother, Mossb, 22, drive for Uber. Their father does volunteer work for the nonprofit called Iraqi Community. Baiida will soon start at Salt Lake Community College. It&apos;s a whole new life. Still, they carry with them what comforts they can from back home. 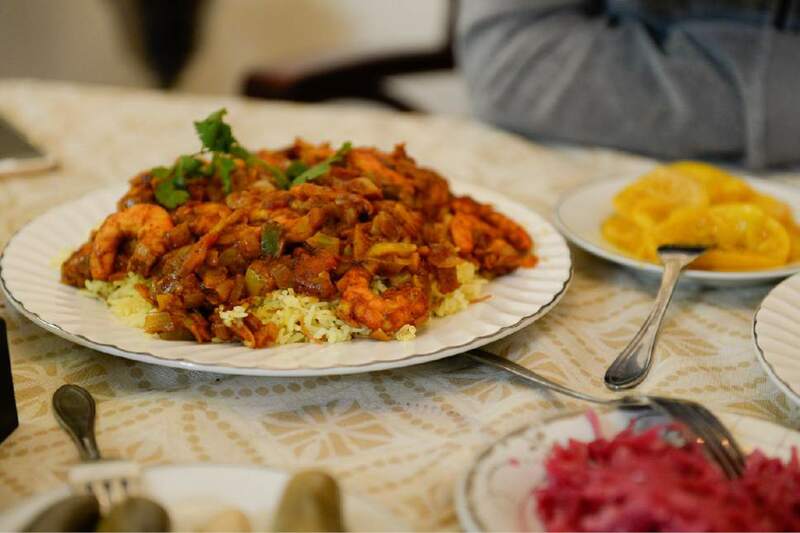 Iman sets the large dish of magbus rabyan on the dining table along with the saffron rice. She adds a bowl of green salad, dressed in apple cider vinegar. The aromas are enticing. "I remember my country. I especially love the food my wife makes," Abdul Rahman said. "But the food is better over there, because the ingredients are fresh." Everyone dives in, except Asad. He inspects the meal and then leaves the apartment. Baiida explains that he prefers burgers and KFC. For some, it may be hard to fathom. But it is, nonetheless, American.